Easily one of the best Christmas movies ever, Home Alone is a must on my watch list come Christmastime. While several of the cast members thought this movie would be a bit of a flop, it actually went on to be the most successful movie of 1990 and even won a Guinness Book of World Records Award. It spawned several sequels, a couple board games, a video game and a whole slew of merchandise…not to mention a great collection of one-liners that will go down in cinematic history as some of our all-time favorites, ami right? For those of us who grew up with Home Alone and its sequels, this collection of 23 Fun Facts about Home Alone is sure to make you happier than Harry sticking his burning hand in the snow. The role of Kevin was written specifically for Macaulay Culkin (John Hughes got the idea for Home Alone during the making of Uncle Buck, which also starred Culkin), but more than 100 pre-teens came in to audition for the role. Macaulay’s younger brother Kieran also scored a part in Home Alone as Kevin’s bed-wedding cousin, Fuller. In its opening weekend, Home Alone topped the box office, making $17 million. The movie maintained its number one spot for 12 weeks and remained in the top 10 until June 1991. It became the highest grossing film of 1990 and earned a Guinness World Record as the highest-grossing live-action comedy ever domestically. 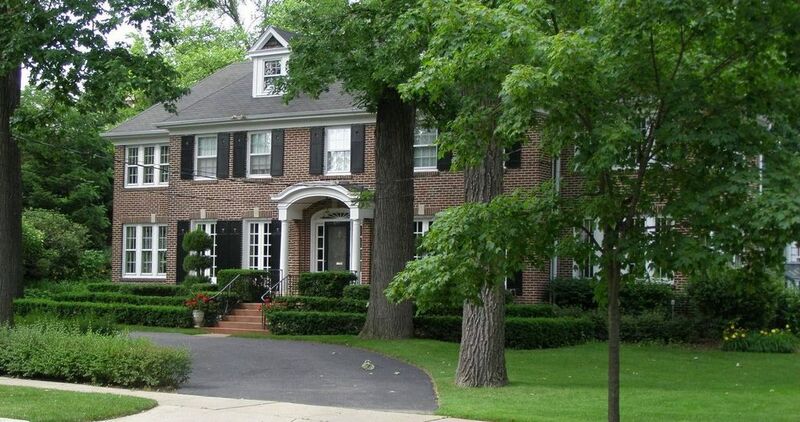 The house used to film many of the Home Alone scenes is located at 671 Lincoln Ave. in Winnetka, Illinois. It recently sold to a new owner for $1.6 million. All of the film, including those few Paris shots, were actually filmed in Chicago. The role of Harry was offered to both Robert De Niro and Jon Lovitz, both of whom turned down the part. The role eventually went to Joe Pesci. Speaking of Joe Pesci, in order to get the most authentic performance possible, Pesci did his best to avoid Culkin on set so the actor would indeed be afraid of him. And Culkin had good reason…during a rehearsal for the scene where Pesci says, “I’m gonna bite all your fingers off, one at a time”, Pesci actually bit Culkin’s finger and broke the skin. Pesci was also not too familiar with the family-friendly flick. The actor who starred in Raging Bull, Goodfellas, and Casino was all too comfortable dropping the F bomb on occasion. To try and fix his knack for swearing, director Chris Columbus told him to use the word “fridge” instead. And it should come as no surprise that Harry and Marv shouldn’t have survived Kevin’s attack. In 2012, Dr. Ryan St. Clair diagnosed the likely outcome of their injuries. The iron that hit Harry in the face would have caused a “blowout fracture” leading to “serious disfigurement and debilitating double vision if not repaired properly”. The blowtorch that blew fire on Marv’s head would cause his skin and bone tissue on his head to be so damaged and rotted that his skull bone would essentially die. You can read the full report here. Daniel Stern agreed to let Kevin put a real tarantula on his face, however, he only agreed to one take. The blood-curdling scream was actually dubbed in later so as to not frighten the spider. The film Kevin watches, Angels with Filthy Souls, is not a real movie, so don’t bother looking it up. But how can we convince Hollywood to make this happen?? The picture of Buzz’s girlfriend (WOOF) that Kevin finds in Buzz’s room was actually the art director’s son made to look like a girl. Columbus thought using a real girl’s photo would be too cruel. Kevin’s proclamation, “You guys give up, or are you thirsty for more?” was an improvised line by Culkin. The part of Tic-Tac Santa (Ken Hudson Campbell) was almost given to SNL actor, Chris Farley. Joe Pesci and Daniel Stern were friends long before Home Alone. They shared screen time in the 1982 film, I’m Dancing as Fast as I Can and would almost always make each other laugh. John Candy’s entire funeral home story, and all of his lines for that matter, was improvised. In an earlier version of the script, Uncle Frank was the one who actually paid the burglars to rip off Kevin’s family while he knew they’d be away. Look what ya did, ya little jerk! Screenwriter John Hughes wrote the entire script in just nine days after a bout of traveler’s anxiety. When Peter McCallister is cleaning the kitchen counter, you can briefly see Kevin’s plane ticket in the trash…so the family really wouldn’t realize he was gone since he legit didn’t have a ticket. Catherine O’Hara revealed in 2014 that Culkin still calls her “mom”. John Candy shared all of his screen time with Catherine O’Hara. The two previously worked together on SCTV and were good friends. Candy passed away on O’Hara’s 40th birthday, and O’Hara gave a tearful eulogy at his funeral. Culkin’s map that his character uses to set up the traps was actually drawn by Culkin.